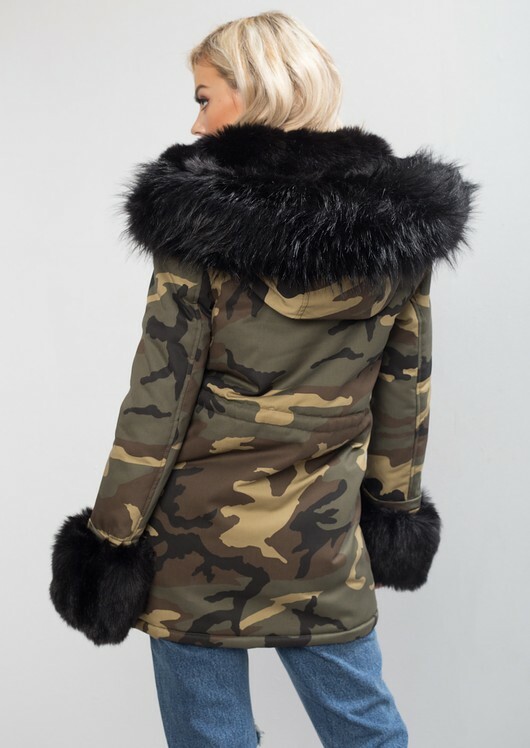 Ward off winter chills with this faux fur hooded with Fur Cuffs camoflage parka coat. 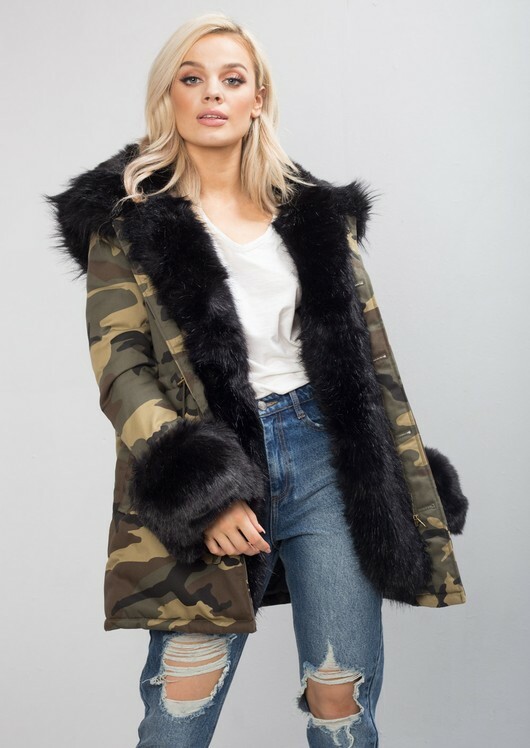 This cosy coat features a baby black coloured faux fur-trimmed hood, Contrast Cuffs, practical pockets, fully lined with fleece, an internal drawstring waist for a flattering silhouette, zip and button fastening. 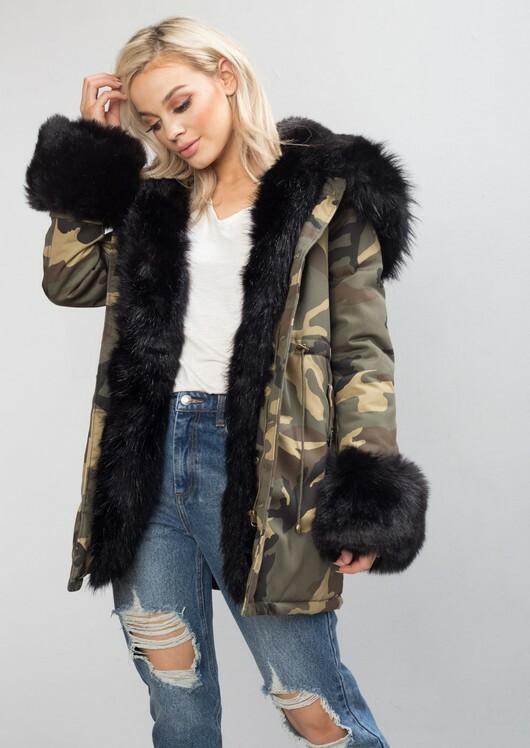 It is the perfect investment piece this season thats bang on the military trend. Pair with some denim skinnies and your favourite trainers. Small fitting, it is recommended to choose a size up.